This course covers all the core areas of Psychology stipulated by the British Psychological Society (BPS) curriculum. You'll explore the human being, the workings of the brain, the processes and mechanisms of human thinking, feeling and behavior and how psychologists, psychological research, and therapy can make a tangible and positive difference to people's lives and society. 60% of our research outputs were considered to be internationally excellent or world leading in REF 2014 and 100% of our research impact is internationally excellent with 73% described as world-leading. 95% of BSc (Hons) Psychology full-time students agree that staff is good at explaining things (National Student Survey 2017). You also have the option of choosing to complete a four-year course which includes a year-long work placement. In your final year, you'll get the opportunity to take part in our Professional Practice in Psychology module. Offering you the chance to experience life as a consultant psychologist, providing psychological solutions to real-world problems. Tailor your learning experience – with a range of optional modules and pathways, you can pursue your own interests and begin to shape your learning towards further study and/or a particular career. At the end of your first year, you can choose to specialize in either mental health or forensic or educational and developmental psychology by choosing a specialist pathway. The study in one of the largest psychology departments in the UK. You will be taught and supervised by over 80 expert psychologists who have a diverse range of interests and research areas. You'll be able to take full advantage of our excellent teaching laboratory suite. The facilities and equipment are exclusively for our psychology students and will help you carry out your own research and data analysis. In your final year, you'll complete an empirical research project, focused on a topic of your choosing under the supervision of a research active member of staff, and take part in the innovative ‘Professional Practice in Psychology conference. The latter, which is a unique feature of psychology at NTU, offers you the chance to experience life as a consultant psychologist, to provide psychological solutions to real-world problem scenarios supplied by external organizations, and to present your solutions to these organizations in a professional conference format. You also have the option of choosing to complete a four-year course which includes a year-long work placement in between Year Two and Year Three. You must apply with the UCAS code C801 to be considered for the four-year sandwich/placement course. Students on the three-year full-time course may also have the chance to study abroad at one of our partner universities. Current locations of our partner institutions include Australia, the Netherlands, Poland and Spain. You'll decide early on in your first year if you would like to apply to take part in the exchange programme. You would study abroad between Year Two and Year Three and it would, therefore, involve extending the course length to four years. The study abroad option is only available for students on the three-year full-time route and therefore you must apply with the UCAS code C800. Tailor your learning experience - with a range of optional modules and pathways you can pursue your own interests and begin to shape your learning towards further study and/or a particular career. The BSc (Hons) Psychology is taught by experienced staff used to working with students from a wide variety of backgrounds and with varying levels of skill and experience. the ability to discuss a wide range of views. Independent study is an important part of this course. Throughout the three years of your course the scheduled contact hours you receive will gradually decrease as you develop the skills required to undertake an independent study or dissertation in your final year. You will still have regular contact with your tutors and if necessary ad hoc tutorials can be arranged. You'll be assessed in a variety of ways and on a modular basis; through traditional means such as examinations and essays, but also in more innovative ways such as research reports, oral and poster presentations and by a final year research project. Our diverse approach to assessment allows students to demonstrate the breadth of their abilities and provides opportunity for everyone to excel. You'll get the opportunity to attend the Department of Psychology seminar series which takes place throughout the academic year. The seminars invite experts and professional to present their publications and research findings. This is an integral part of the research culture in the Psychology Department and stimulates thinking and debate. Our Psychology courses are designed so that you can develop all the knowledge and skills that you'll need for your future career. The course enables students to select the optional Work-Based Psychology Practice module. Students that partake in this module will get to engage in work-related roles through volunteering, paid work, or workplace shadowing. You'll get the opportunity to participate in our Professional Practice in Psychology Conference which is unique to NTU. This provides you with the opportunity to experience life as a consultant psychologist, to provide psychological solutions to real world problem scenarios supplied by external organisations, and to present their solutions to these organisations in a professional conference format. You also have the option of choosing to complete a four year course which includes a year-long work placement. You must apply with the UCAS code C801 to be considered for the four year sandwich / placement course. We encourage all our students to take part in voluntary work. Nottingham Trent Volunteering will allow you to get involved in one day challenges, student-led projects and the volunteer shop. You can also gain formal recognition for your achievements outside of your studies with our Acceler8 employability award. This award will improve your employability prospects and act as a record of the experiences you gain at NTU. With the British Psychological Society’s GBC secured, you will be eligible on graduation to pursue further postgraduate (Masters of Doctoral) training in psychology, possibly as a professional psychologist (in forensic, clinical, educational, occupational, counselling, and sport psychology), to pursue an academic and / or research career in various areas of psychology (by working as a research assistant, for example, or by studying for a Masters or PhD), or simply to exploit the transferable skills you have learned on your course to pursue a career outside of psychology. Psychology qualifications tend to be very popular with all employers because they demand an ability to communicate effectively in both spoken and written forms (through verbal presentation and the writing of essays and reports), an ability to solve real world problems and well-developed numerical skills. This all means you will be very well placed to capitalise on other graduate employment opportunities in areas as diverse as marketing, journalism, human resources, policing and teaching. Further study or training may be required for some of these roles. *Latest DLHE survey undergraduate results 2011-12 – 2014-15. There are opportunities to develop links with relevant organisations and potential employers if you undertake the four year sandwich course or through the optional Work-Based Psychology Practice module in the final year of the course. Psychology is very proud of its graduates and their successes. We very much look forward to helping you graduate to your chosen career be it in psychology or beyond. For September 2018 entry you will need the following. All applications are considered on a case-by-case basis. 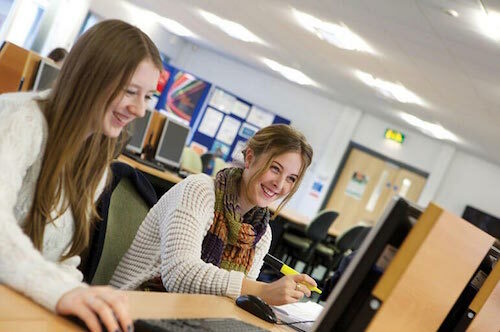 We are happy to accept applications from mature students, and students with access qualifications or many other types of standard and non-standard qualifications for which we can calculate UCAS points. Non-standard applicants may be interviewed. Please note that a Disclosure and Barring Service check (formerly known as a Criminal Records Bureau disclosure) will be necessary before working with young people or vulnerable populations, but it is not required for admission onto the BSc (Hons) Psychology with Sociology.